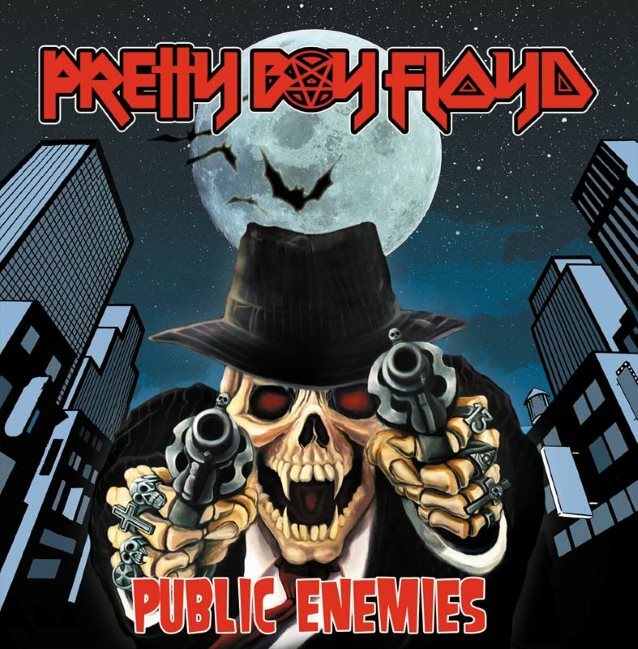 Frontiers Music Srl has just released the new album from PRETTY BOY FLOYD, titled “Public Enemies”. The official music video for the song “Feel The Heat” can be seen below. “Public Enemies” is exactly what’d you expect from these seasoned Sunset Strip veterans — a fun record meant to be played at maximum volume to help you forget about your worries, of which we all have plenty these days. Not too long ago, when rock was about having a good time, letting your hair down and creating chaos and anarchy, four guys got together in Hollywood and formed a band. New York City guitarist Kristy Majors hooked up with West Coast frontman Steve Summers and laid the foundation for their dream band. They worked, wrote songs and played and played and played. The band chose the name PRETTY BOY FLOYD because it seemed to describe them — four tough teens armed with guitar licks and teenage angst who set out to conquer the world. As the new millennium rolled in, new music fans began to wonder what they had missed back in the heyday of ’80s and early ’90s sleaze rock. A whole new breed of young fans who weren’t born when the band first emerged began to discover their music. The original fans from back in the day and the new fans found common ground — a love of PRETTY BOY FLOYD‘s music, sleazy shows, and fun times. Never mind what the critics think, or what trends may have come and gone. Having outlasted many of the critics who cried “they’ll never make it,” PRETTY BOY FLOYD continues to record and tour the world winning over news fans both young and old.